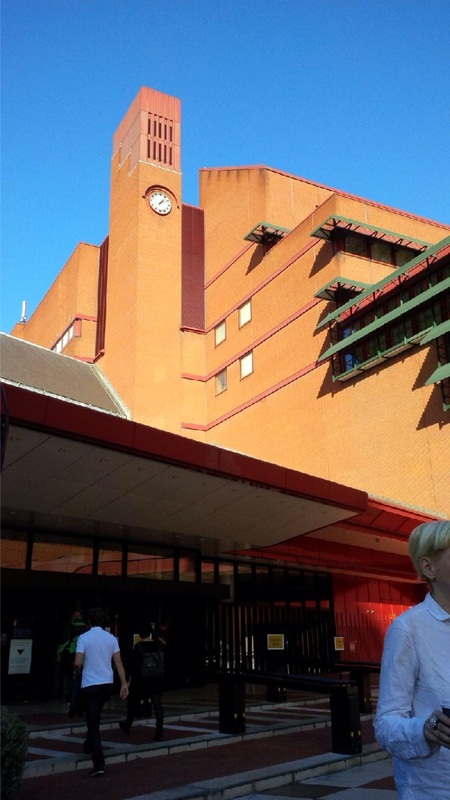 Terrified At The British Library! 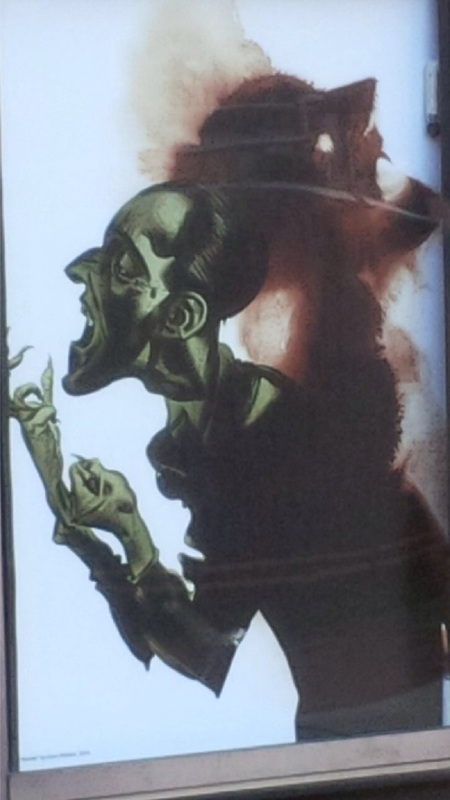 A few weeks ago we went to the Terror and Wonder exhibition at the British Library. 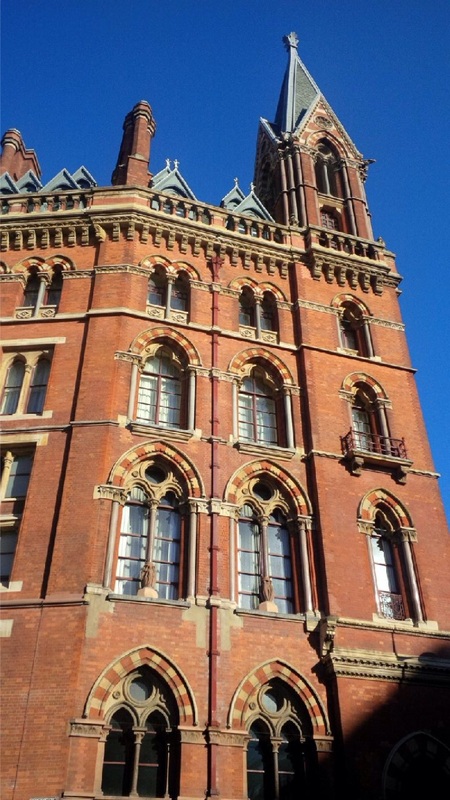 It was a fantastically sunny day making both the soviet slabs of the library and the gothic gorgeousness of St Pancras station look amazing. Inside didn’t disappoint either, I was terrified , reading a letter that was supposedly from Jack the Ripper. The wonder for me came from seeing an Alexander McQueen dress in the flesh. 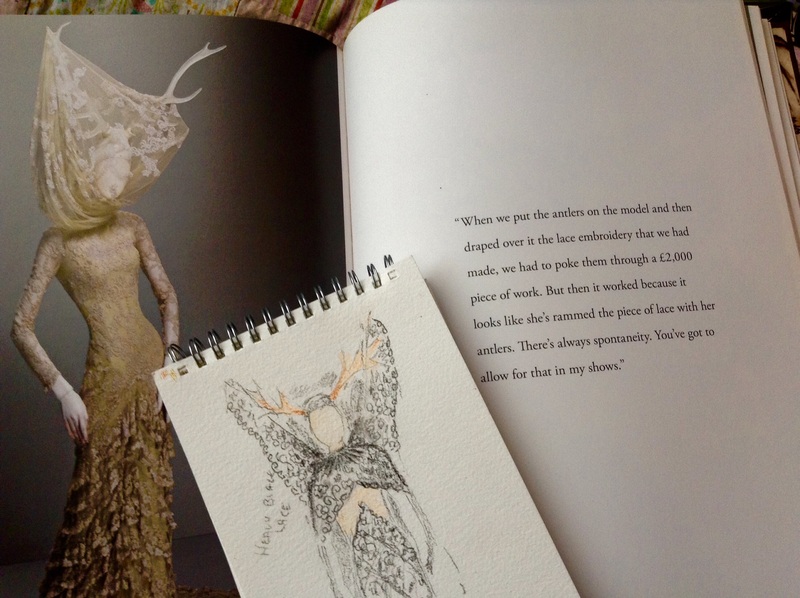 This is my sketch of the dress, plus one from the same collection and Mcqueens explanation of the lace being punctured by the antlers, he sacrificed the very expensive lace because he wanted the model to look like she had rammed it with her antlers. McQueen said that he dressed women so that other people would be scared of them, mission accomplished! 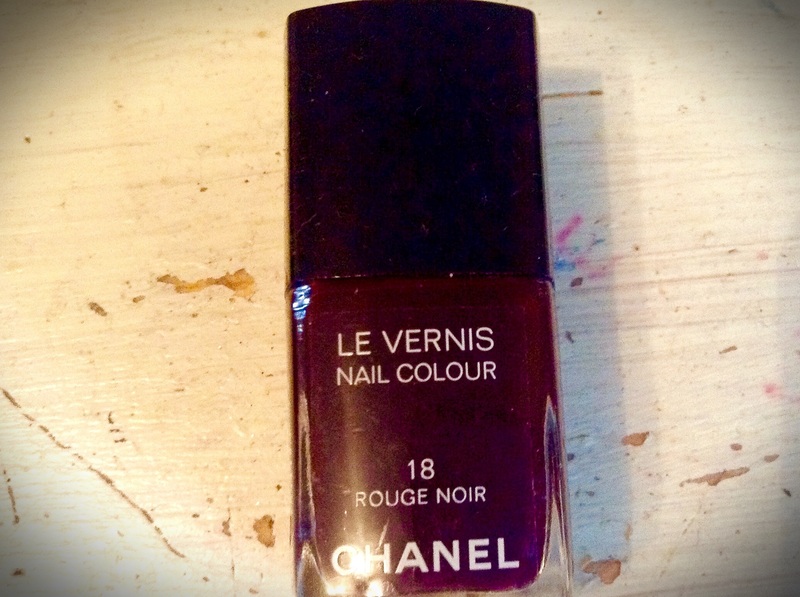 Here is my favourite Goth item, Chanels Rouge Noir. and guess what Pantone have named colour of the year? Marsala a very romantic hue. All the vampires and swooning maidens has made me think of gothic teddies! Off to the drawing pad! Do you like the romance of gothic or are you more Steampunk? Leave me comment. This entry was posted in Uncategorized by karenlorenz. Bookmark the permalink.